The head of the Kardashian family was filming segments of her reality television show Keeping up with the Kardashians as she fashioned an interesting black blazer with gold features down the arms held together by gold clasps. 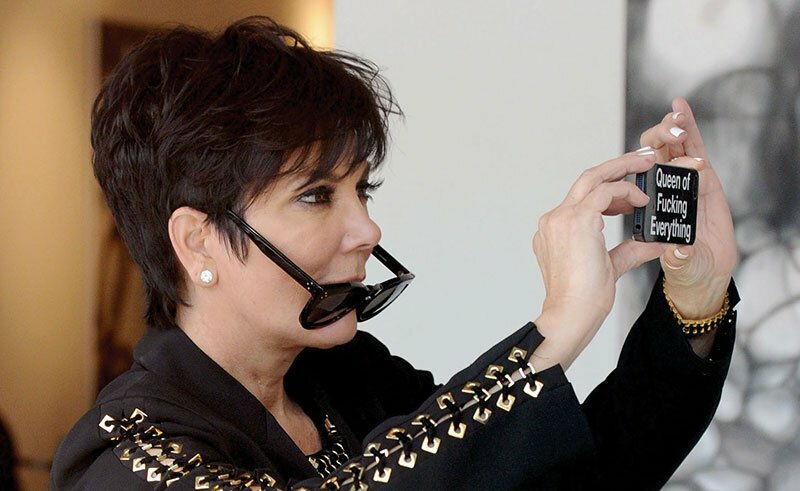 Kris Jenner was spotted taking some snaps on her smartphone as she attended an art exhibition with her youngest daughter Kendall Jenner in Los Angeles. The head of the Kardashian family was filming segments of her reality television show, Keeping up with the Kardashians, as she fashioned an interesting black blazer with gold features down the arms held together by gold clasps. Kris recently took social media to celebrate her daughter Kylie Jenner’s birthday sharing some pics of the star in her younger days! 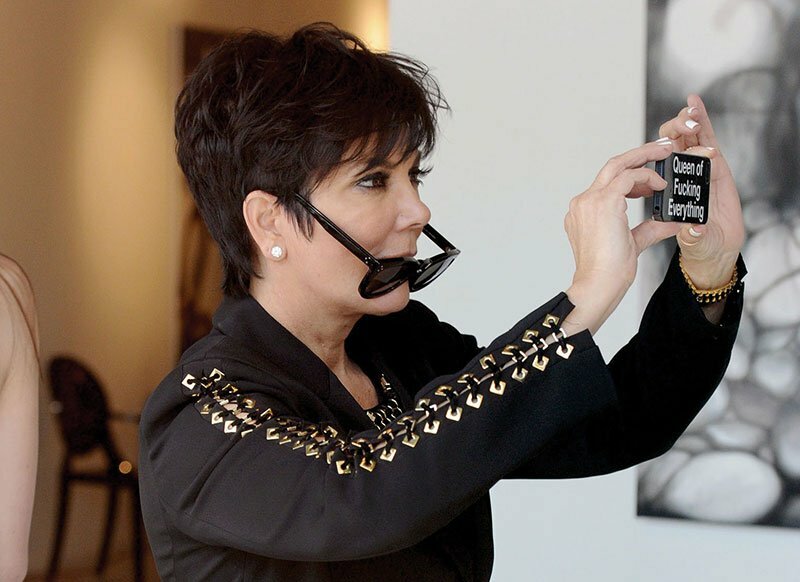 The Kardashians arrived at the store on Roberston Blvd to film their reality show but it was Kris that turned heads with her explicit iPhone case! The cover cost around $30 and it was sold in the LA Kitson store. However, the renowned chain closed down all of its 17 stores across the United States in December 2015 and its website has also been shut down. Kris Jenner has four children (Kourtney, Kim, Khloe, and Robert) with her late husband Robert Kardashian and two children (Kendall and Kylie) with retired Olympic Games champion Bruce Jenner, now Caitlyn Jenner. 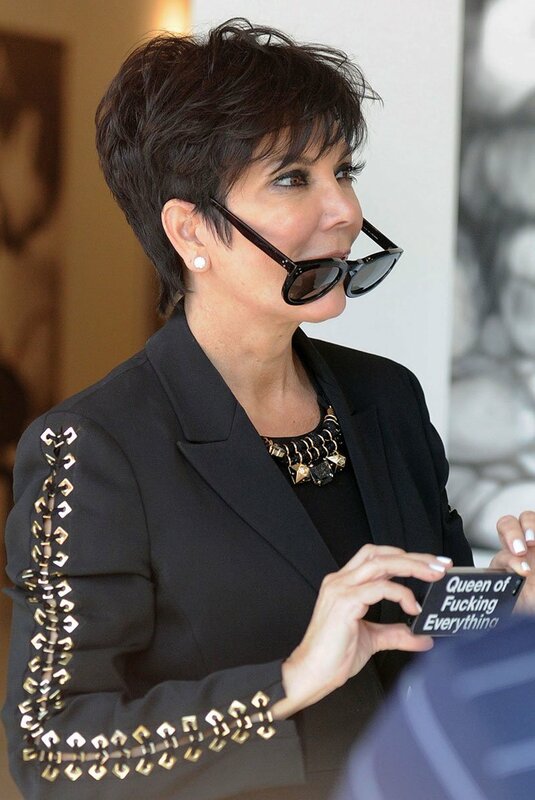 Kris Jenner Trivia: Kris Jenner once worked as a flight attendant for American Airlines. in Couples, I Do That! in Fashion, Guess Who?, I Do That!